In February 2016, the results of the Flexibility in Duty Hour Requirements for Surgical Trainees (FIRST) Trial were released1 amidst controversy. 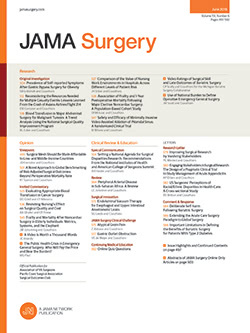 Participating general surgical residency programs were randomized to either a control arm, which adhered to current Accreditation Council for Graduate Medical Education (ACGME) duty hour requirements, or an intervention arm, which relaxed many duty hour restrictions while still adhering to the 80-hour work week. Critics of the trial questioned the ethics of its design and conduct. Public Citizen, a consumer watchdog group, and the American Medical Student Association, filed a complaint with the Department of Health and Human Services regarding the study’s unethical nature. They contended that the FIRST Trial was misclassified as nonhuman subjects research, involved unacceptable risk for the residents in the intervention arm, and failed to satisfy informed consent requirements.2 While these complaints represented an oversimplified view of the relevant issues, they highlighted the need to discuss the inherent ethical complexities of this trial. These issues, which are not unique to the FIRST Trial and could arise in future randomized studies testing institutional policy changes, include (1) institutional review board (IRB) determination, (2) assessment of equipoise, and (3) informed consent.